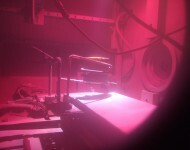 Dr. Laure Plasmatechnologie GmbH makes frequent use of arc-heated plasma to deposit layers. 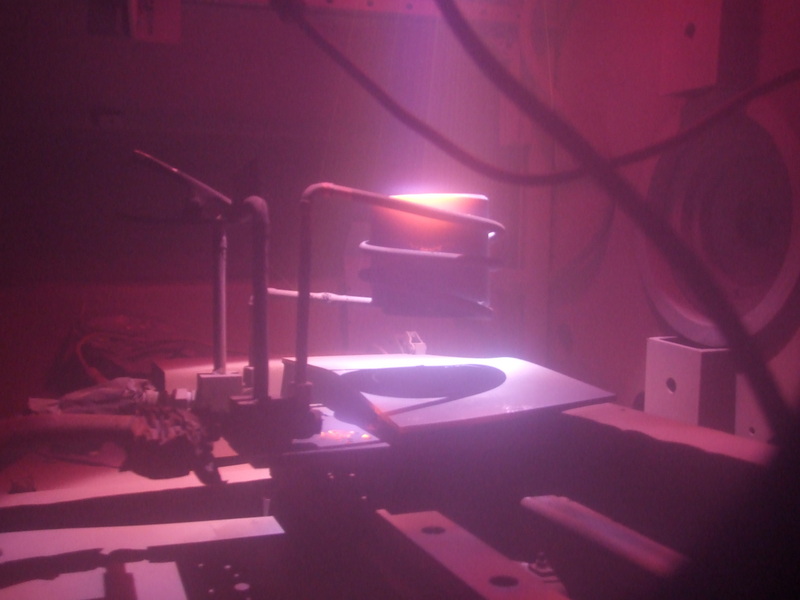 This technology enables us to apply a wide range of substances on many different substrates in high quality and at a high deposition rate. 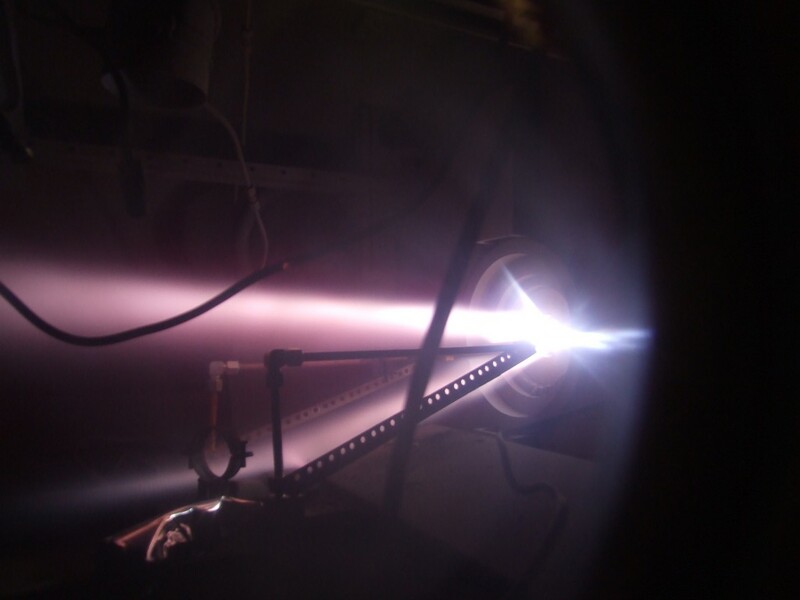 Plasma generators resembling arc jet engines for spacecraft propulsion are used to generate powerful direct-current electric arcs. 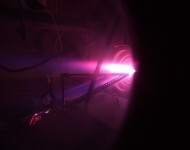 This arc heats up the gases flowing through the plasma generator (such as argon, nitrogen or hydrogen) to several thousand degrees Celsius, bringing them into a plasma state. Raw materials for the coating can be mixed directly into the hottest zone of the plasma in the form of powders, liquids and gases. The extreme temperature and power density in the plasma beam can even evaporate materials which are resistant to great temperatures (tungsten, for instance) or trigger chemical reactions such as the reduction of sand into silicon. 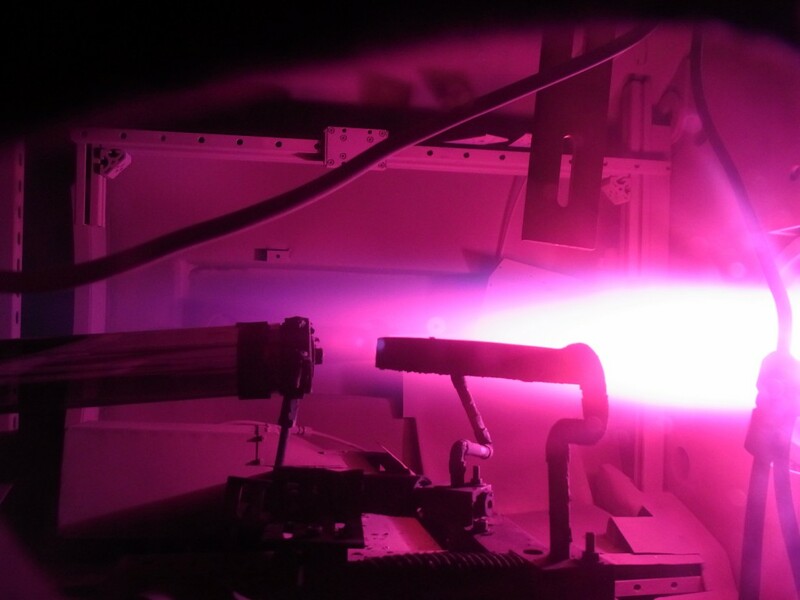 Most arc plasma processes are conducted, under vacuum, in evacuated chambers and tanks in order to eliminate the effects of ambient air. 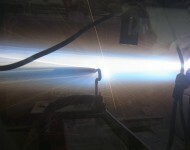 The plasma generators can also be operated at atmospheric pressure. 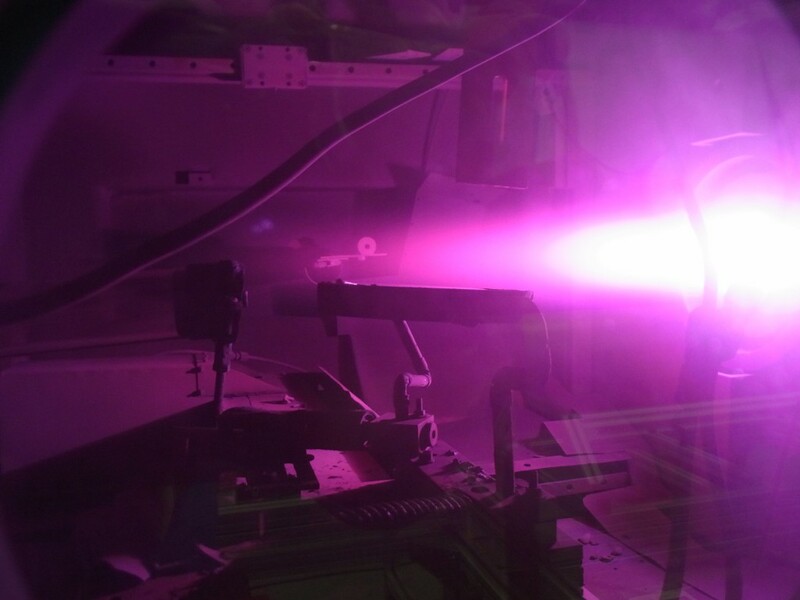 The plasma coating system is an experimental system for developing and testing new plasma coating systems and new coating systems. 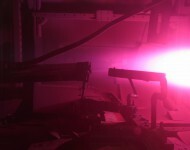 The plasma power ranges from 10 kW to 0.3 MW. 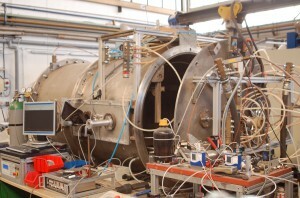 The system allows to use arbitrary gasses, powders and liquids in its plasma jet. Depending on which process parameters are selected for the plasma coating, the process may resemble well-known coating principles such as physical vapour deposition (PVD), chemical vapour deposition (CVD) or plasma spraying. 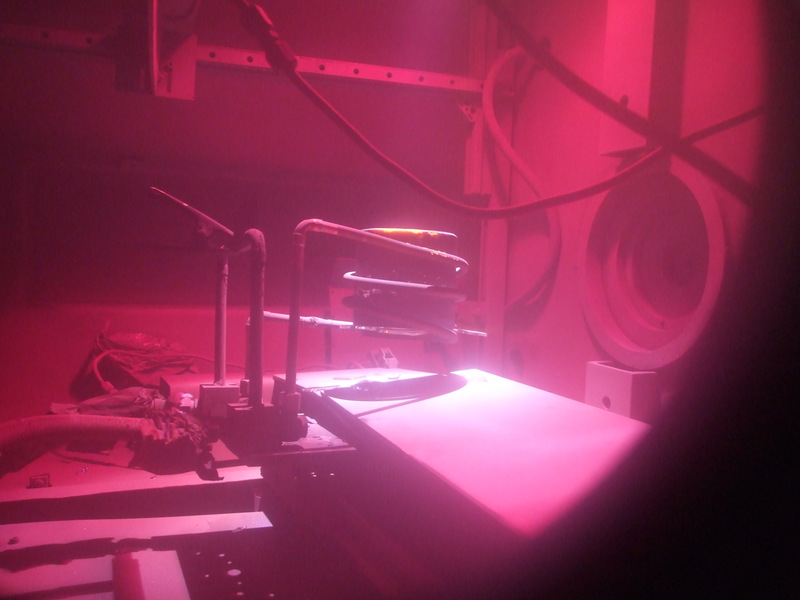 Our plasma system, for example, also has been used to develop coatings and associated methods of increasing the hardness of materials by depositing a nitride layer on the surface. 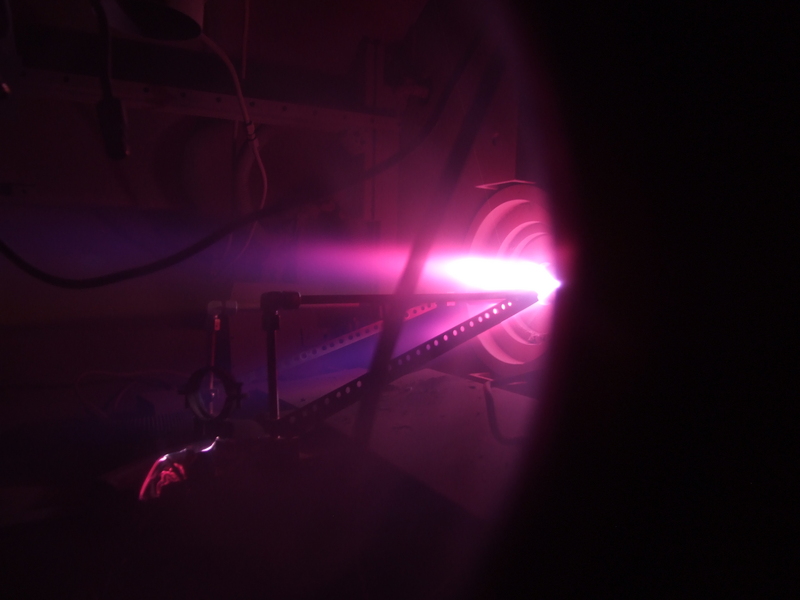 The development of our hybrid plasma generator is another example of our system’s achievements. 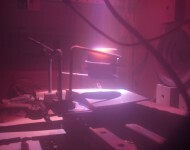 This generator is a combination of a direct-current electric arc plasma generator and an inductive heated high-frequency plasma generator.